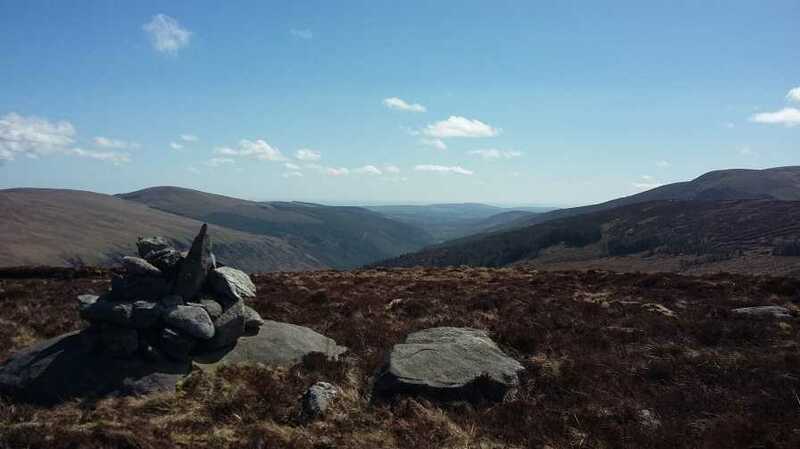 Followed directions posted on MV to find the forest ride up from Glenmalure. See track 3766. The first section of forestry SW of the forest track has been felled, making the forest ride more obvious. Track 3766 was undertaken in exceptional weather, and after a dry spell - I have some history with this hill having come a cropper in the col to its northwest on a wet day some time ago. Similarly to Benleagh, the direct route to this summit from the track between Camenabologue proper and Lugnaquilla is guarded by a wide area of deeply eroded peat, which is difficult to cross in wet conditions. I also crossed debris from a small mudslide on the table track above the youth hostel around T 052 952 A.